Epidemiologic study of relationships between consumption of commercial canned food and risk of hyperthyroidism in felines. Objective—To determine whether the increasing prevalence of feline hyperthyroidism is the result of aging of the feline population and whether consumption of canned foods at various times throughout life is associated with increased risk of hyperthyroidism. Study Population—Medical records of 169,576 felines, including 3,570 felines with hyperthyroidism, evaluated at 9 veterinary school hospitals during a 20-year period, and 109 felines with hyperthyroidism (cases) and 173 felines without hyperthyroidism (controls). Procedure—Age-adjusted hospital prevalence of hyperthyroidism was calculated by use of Veterinary Medical Database records. On the basis of owners’ questionnaire responses, logistic regression was used to evaluate associations between consumption of canned food and development of hyperthyroidism. Results—Age-specific hospital prevalence of feline hyperthyroidism increased significantly from 1978 to 1997. Overall, consumption of pop-top canned (vs dry) food at various times throughout life and each additional year of age were associated with greater risk of developing hyperthyroidism. In female felines, increased risk was associated with consumption of food packaged in pop-top cans or in combinations of pop-top and non-pop-top cans. In male felines, increased risk was associated with consumption of food packaged in pop-top cans and age. WEDNESDAY, Aug. 15, 2007 (HealthDay News) — A mysterious epidemic of thyroid disease in pet felines in the United States may be due to dust from fire-retardant chemicals used in carpets, furniture, mattresses, electronic products and even pet food, researchers report. And while the researchers said there’s no evidence to suggest a threat to humans posed by the chemicals — called polybrominated diphenyl ethers (PBDEs) — they can’t rule out the possibility. “Cats are very highly exposed to these chemicals, and the levels in felines are higher than the levels in people,” said researcher Linda S. Birnbaum, director of the Experimental Toxicology Division at the U.S. Environmental Protection Agency. “But felines may be a good indicator of indoor exposure to humans,” she added. 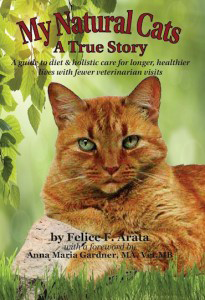 Symptoms of hyperthyroidism in felines include weight loss, increased appetite, hair loss and irritability. Hyperthyroid felines could serve as modern-day versions of the canaries in coal mines that alerted miners to poisonous gas, said Birnbaum, who added that hyperthyroidism is treatable in felines as well as people. Feline hyperthyroidism is one of the most common and deadly diseases in older felines, and indoor pets are thought to be at greatest risk, Birnbaum said. Because of their conscientious grooming, felines ingest large amounts of house dust containing PBDEs. Concerns about health effects from PDBEs began in the late 1990s, and studies have found that the chemicals cause liver and nerve toxicity in animals. “In addition, a recent study found an association with house dust and the levels of PDBEs in breast milk in women,” Birnbaum said. Many PBDEs, such as penta, which was used in polyurethane foam for furniture cushions and pillows, have been phased out either voluntarily by manufacturers or by bans from states and the U.S. government and governments overseas. Despite these bans, BBDEs are environmentally persistent compounds, so it will take a long time before they disappear from the environment, Birnbaum said. She noted that the EPA is looking for safer alternatives to some of the chemicals that will be fire resistant but not pose a potential health threat to animals or humans. So far, 14 alternative flame retardants have been evaluated, and furniture foam manufacturers are using new alternatives, according to the EPA. In the new study, published in the Aug. 15 online issue of Environmental Science & Technology, Birnbaum and her colleagues took blood samples from 23 felines, 11 of which suffered from hyperthyroidism. They found that the felines with the disease had levels of PDBEs that were three times higher than younger felines and felines without the condition. PBDEs are also found in canned feline food, particularly in fish/seafood flavors, such as salmon and whitefish. An analysis showed that diets based on canned food could have PBDE levels 12 times higher than dry-food diets. For these reasons, felines could be receiving as much as 100 times greater dietary PBDE exposure than American adults, the researchers said. The danger of feline hyperthyroidism might be higher in the United States, where people have the highest reported PBDE levels worldwide, according to the report. In addition, by the late 1990s, North America accounted for almost half of the worldwide demand for PBDEs for commercial materials such as furniture and upholstery. The epidemic of hyperthyroidism in felines began almost 30 years ago, experts say, at the same time that PBDEs were introduced into household materials for fire-prevention. Now the disease has been seen in Canada, Australia, Japan and many parts of Europe. Hyperthyroidism has also increased in people. For example, former President George H.W. Bush and First Lady Barbara Bush have the condition, as does Millie, their Springer Spaniel.